Connor, Risa and Lev are running for their lives. Unwinding: the process by which a child is both terminated and yet kept alive. Unwinding is now a common, and accepted, practice in society. Connor's parents want to be rid of him because he's a troublemaker. Risa has no parents and is being unwound to cut orphanage costs. Lev's unwinding has been planned since his birth as part of his family's strict religion. Brought together by chance, and kept together by desperation, these unlikely companions make a harrowing cross-country journey, knowing their lives hang in the balance. 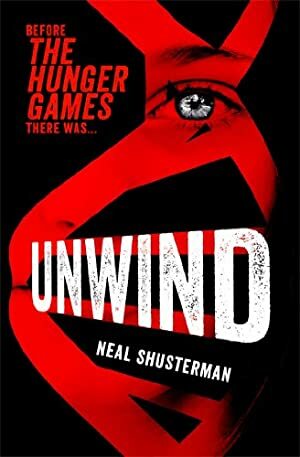 Before there was The Hunger Games, there was Unwind. Log In to track Neal Shusterman on eReaderIQ. to be notified each time the price drops on any book by Neal Shusterman. to stop tracking Neal Shusterman. We started tracking this book on June 5, 2011. The price of this book has changed 48 times in the past 2,874 days. The current price of this book is £3.99 last checked 8 hours ago. This book has been £0.99 5 times since we started tracking it. The highest price to date was £5.99 last reached on October 2, 2016. This book has been £5.99 2 times since we started tracking it. We last verified the price of this book about 8 hours ago. At that time, the price was £3.99. This price is subject to change. The price displayed on the Amazon.co.uk website at the time of purchase is the price you will pay for this book. Please confirm the price before making any purchases.